Royal Deluxe is a soft, mid-weight, economical synthetic turf with a royal green look, perfect for a variety of applications. Royal Deluxe is PolyTurf's best value and your top choice for a soft, beautiful lawn. 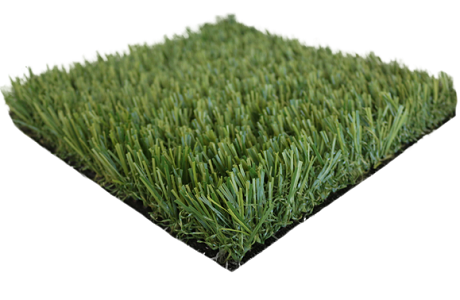 Available in both a tan and a green thatch option, Royal Deluxe features a two-tone forest and spring green blade and is great for cost-effective landscaping, pets, playgrounds, streetscapes, green belts, medians, rooftops, and more. 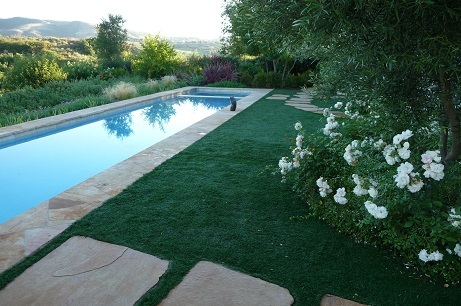 Royal Deluxe artificial grass is great looking, mid-green in color, resilient, and durable yet soft with a 65 oz. fiber weight and a 1 3/4" pile height. 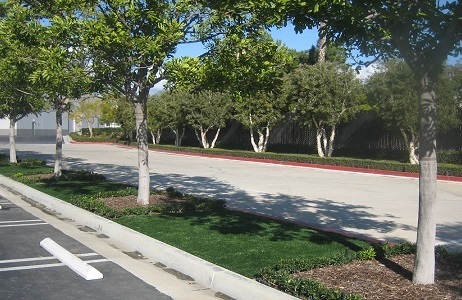 This economical turf option is a city's top choice for a green, low maintenance, water-conserving landscape. 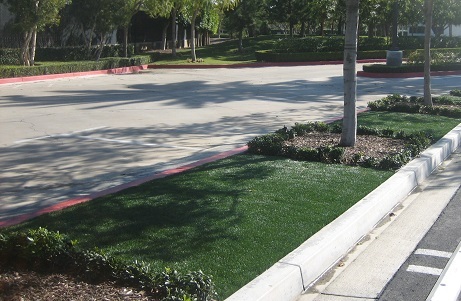 Eliminating most urban runoff concerns, Royal Deluxe is recommended for streetscapes, green belts, and medians. As a soft, attractive, and affordable product, Royal Deluxe is also perfect for residential landscaping, homeowners associations, pool surrounds, playgrounds, rooftops, dog runs, and more. 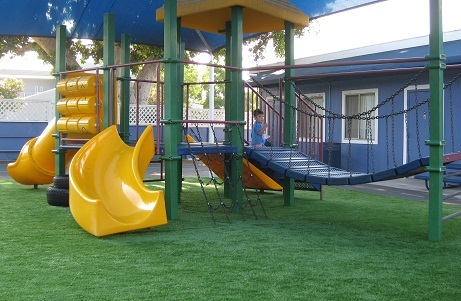 The medium pile height and mid-weight yarn fiber of this product make this artificial turf nearly effortless to clean and maintain.